Photo by Bianca Marolla via Pexels, used under CC by 2.0 / Desaturated from original with colour filter. Economists are often accused of focusing excessively on GDP, with the result that government policies make GDP a priority to the detriment of other contributors to well-being. This research proposes a broader summary statistic that incorporates consumption, leisure, mortality and inequality. While the new statistic is highly correlated with GDP per capita, cross-national deviations are often large: Western Europe looks considerably closer to the United States; emerging Asia has not caught up as much; and many developing countries are further behind. Each component of the statistic plays a significant role in explaining these differences, with mortality being the most important. While still imperfect, the statistic arguably provides better guidance for determining public priorities and evaluating policies than does GDP alone. GDP is a flawed measure of welfare or the sum of national well-being. Leisure, inequality, mortality, morbidity, crime and the natural environment are just some of the major factors affecting living standards within a country that are incorporated imperfectly, if at all, in GDP. Focusing on GDP can distort government policies towards promoting GDP at the expense of other contributors to welfare. For example, a policy easing safety and environmental regulations might boost GDP but lower welfare because of adverse health consequences. Although there are significant conceptual and empirical hurdles to including some of these factors in a measure of welfare, we argue that standard economic analysis is well equipped to deal with several of them. We propose a simple summary statistic for the welfare of a country’s population, and then compute its level and growth rate for a diverse set of countries. Our welfare measure combines data on consumption, leisure, inequality and mortality using the standard economics of ‘expected utility’. As an example, suppose we wish to compare living standards in France and the United States. GDP per person is markedly lower in France: the country had per capita GDP in 2007 of just 67% of the US value. Consumption per person in France was even lower: only 60% of the US value, even after adding government consumption to private consumption. But other indicators looked better in France. Life expectancy at birth was around 80 years in France compared with 77 years in the United States. Leisure was higher in France: Americans worked 877 hours (per person, not per worker) compared with only 535 hours for the French. And inequality was substantially lower in France: the standard deviation of log consumption (a measure of inequality) was around 0.54 in the United States but only 0.42 in France. What proportion of consumption in the United States would deliver the same expected utility as the values in France? In our results, lower mortality, lower inequality and higher leisure each add roughly 10 percentage points to French welfare in terms of equivalent consumption. Rather than looking like 60% of the US value, as it does based solely on consumption, France ends up with welfare equal to 92% of the US value. Our calculations matter for evaluating policies. Based on GDP per capita, one might condemn the wider safety net in France for discouraging work there relative to the United States and dragging down its income to two thirds of the US level. See, for example, the argument that Americans work more than Europeans because of lower effective marginal tax rates in the United States (Prescott, 2004). But the higher leisure in France partially compensates for their lower consumption. And the welfare state in France may contribute to its lower inequality and higher life expectancy. Taking all of these factors into account, standards of living look much closer in France and the United States. The French example applies more broadly to Western Europe as a whole. But for poorer countries, the opposite is typically true. Because of lower life expectancy and higher inequality, their welfare is often less than their income. 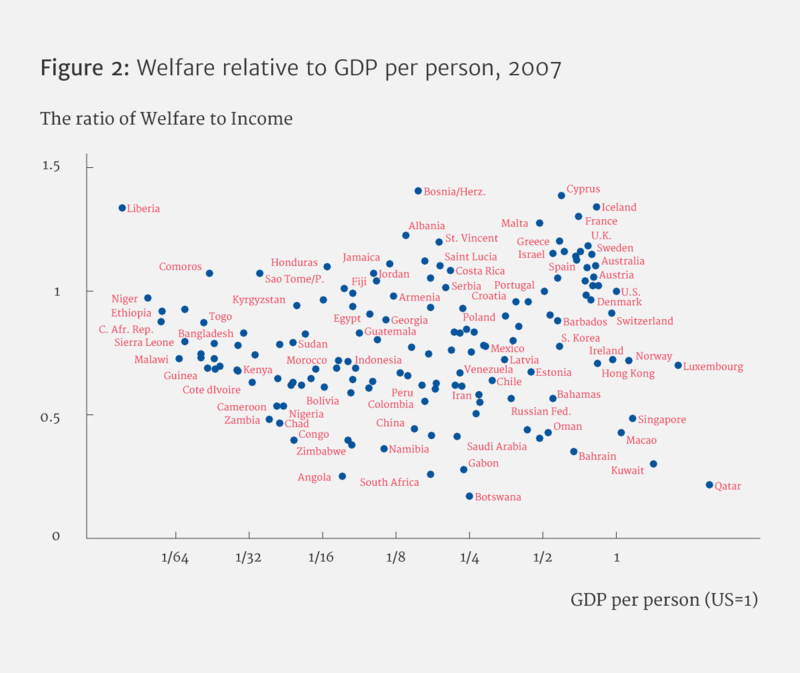 GDP per person is highly correlated with welfare across countries (see Figure 1). Nevertheless, there are economically important differences between GDP per person and consumption equivalent welfare, so disparities such as those we see in France are common (see Figure 2). Average West European living standards appear much closer to those in the United States (around 85% for welfare compared with 67% for income) when we take account of Europe’s longer life expectancy, additional leisure time and lower inequality. Most developing countries – including much of sub-Saharan Africa, Latin America, southern Asia and China – are substantially poorer than incomes suggest because of a combination of shorter lives and extreme inequality. 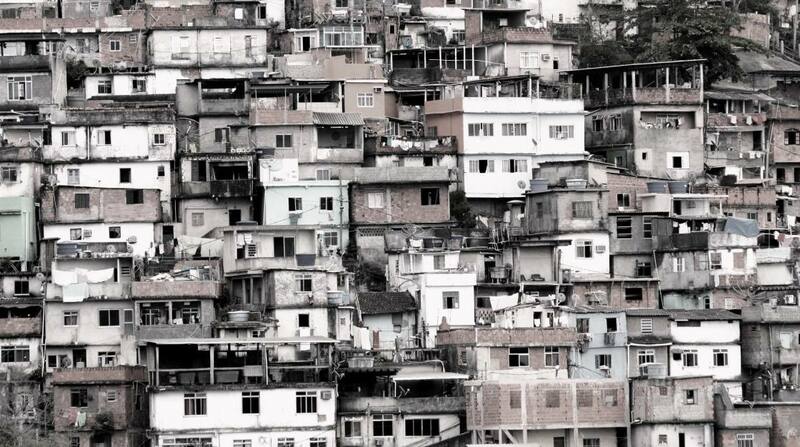 Lower life expectancy reduces welfare by between 15% and 50% in the developing countries we examine. Combined with the findings about West European living standards, the upshot is that, across countries, welfare inequality appears even greater than income inequality. Growth rates are typically revised upwards, with welfare growth averaging 3% between the 1980s and the mid-2000s compared with income growth of 2%. A boost from rising life expectancy of more than a percentage point shows up throughout the world, with the notable exception of sub-Saharan Africa (see Figure 3). We now illustrate these findings with examples shown in Tables 1 and 2. The point we made about Western Europe shows up for France, Germany, Japan and Sweden: all have higher welfare than their incomes suggest, largely due to higher life expectancy, higher leisure and lower consumption inequality. Norway stands out as a striking exception. It receives the usual positive contributions from these ‘European’ forces. But the effects are more than offset by Norway’s extremely low consumption share. This is readily understood in the context of the North Sea oil discovery: Norway is consuming much less than its current income to smooth its oil revenues into the future. Ireland shows a related pattern, with its high investment rate and low consumption share. According to GDP per person, Hong Kong and Singapore are rich countries on par with the United States. The welfare measure substantially alters this picture. Singapore declines dramatically: from an income that is 117% of the US value to welfare of just half that at 57%. A sizable decline also occurs for South Korea: from 58% for income to 45% for welfare. Both countries – and Japan too – see their welfare limited sharply by low consumption shares. This force is largest for Singapore, where the consumption share of GDP is below 0.5. This is the levels analogue of Alwyn Young’s (1992) growth accounting point. Singapore has sustained a very high investment rate in recent decades. This capital accumulation raises income and consumption in the long run, but the effect on consumption is less than the effect on income, which reduces the welfare-to-income ratio. Leisure is also low in Singapore and South Korea, further reducing welfare relative to income. Working hard and investing for the future are well-established means of raising GDP. Nevertheless, these approaches have costs that are not reflected in GDP. According to GDP per capita, Botswana and South Africa are relatively rich developing countries with about 20% of US income. AIDS, however, has dramatically reduced their life expectancy to around 52 years. Inequality in both countries is also among the highest in the world. The combined effect of these changes is to push welfare substantially below income: both countries have welfare below 5% of that in the United States, placing them in the middle of the pack of poor economies. 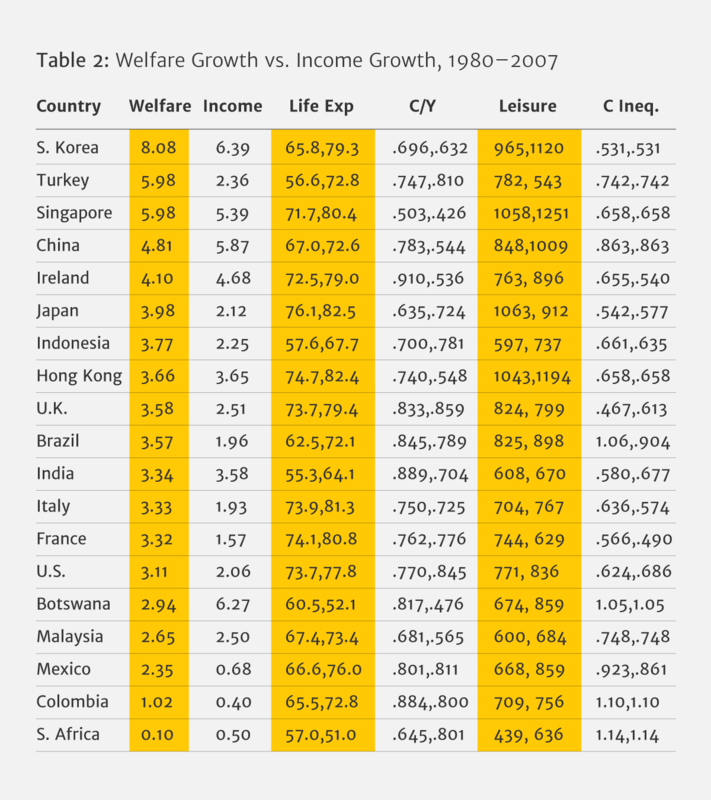 Table 2 and Figure 3 illustrate how welfare growth differs from income growth. 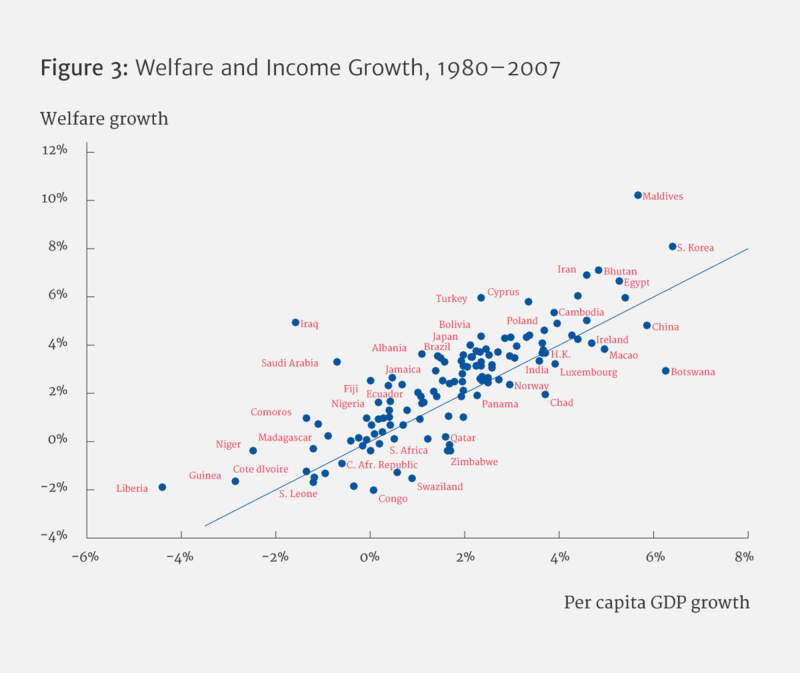 Western Europe, the United States and Latin America all exhibit welfare growth a full percentage point higher than income growth between 1980 and 2007. The key driving force behind this faster growth is rising life expectancy, which adds about 1.3 percentage points to growth in Europe and Latin America and around 0.8 percentage points in the United States and coastal Asia. Tragically, sub-Saharan Africa has experienced a much smaller boost: just 0.3 percentage points. Despite its ‘lost decade’ after 1990, Japan moves sharply up in the growth rankings when considering welfare instead of income. Between 1980 and 2007, income growth in both Japan and the United States averaged just over 2% per year. But rising life expectancy, rising consumption relative to GDP and rising leisure nearly double Japan’s welfare growth to 4% per year, almost a full percentage point faster than US welfare growth of 3.1% over this period. Young (2005) points out that AIDS was a tragedy in Africa, but that it might boost GDP per worker by raising capital per worker. Our welfare measure provides one way of adding these two components together to measure the net cost. As Young suspected, the net cost is substantial. Botswana loses the equivalent of 1.1 percentage points of consumption growth from seeing its life expectancy fall from 60.5 to 52.1 years, similar to the loss in South Africa. Botswana’s growth rate falls from one of the fastest in the world at 6.27% to the much more modest 2.94%. Already poor, sub-Saharan Africa falls further behind the richest countries from 1980 to 2007 – and more so for welfare than for income. An important contributor to growth in GDP per person in many rapidly growing countries is factor accumulation: increases in investment rates and hours worked. This point is emphasized by Young (1992) in his study of Hong Kong and Singapore. Yet this growth comes at the expense of current consumption and leisure, so growth in GDP provides an incomplete picture. Table 2 shows that many of the world’s fastest growing countries are similar to Singapore in this respect. In terms of welfare growth, Botswana, China, Hong Kong and Ireland all lose more than a full percentage point of annual growth to these channels, while India and South Korea lose more than a half percentage point. These countries remain among the fastest growers in the world, however, as these negative effects are countered by large gains in life expectancy. To sum up, our calculations drive home the importance of setting policies with broader objectives in mind than just maximizing GDP. This article summarizes ‘Beyond GDP? 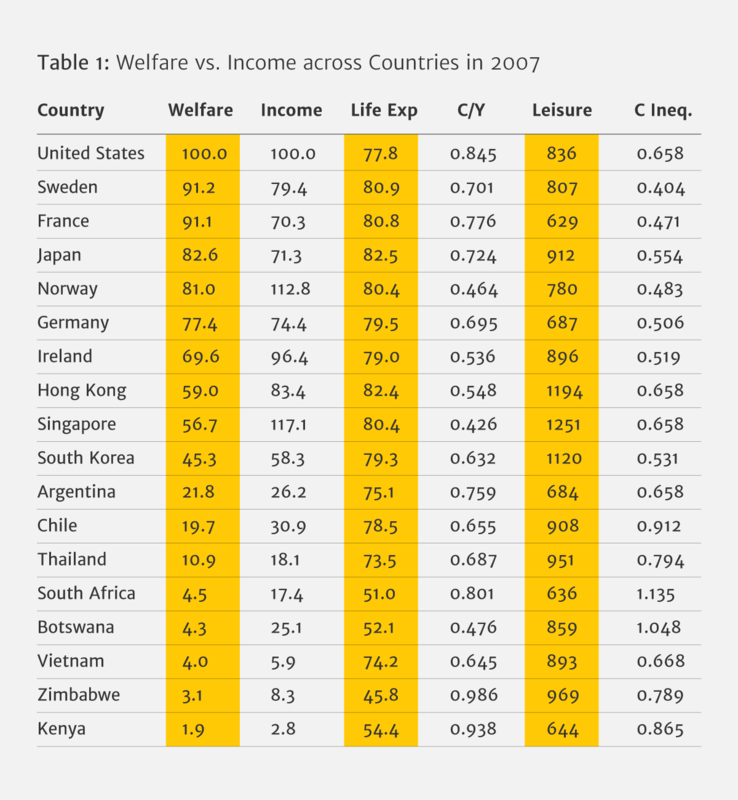 Welfare Across Countries and Time’ by Charles I Jones and Peter J Klenow, published in the American Economic Review in 2016. Jones, Charles I, and Peter J Klenow (2016) ‘Beyond GDP? 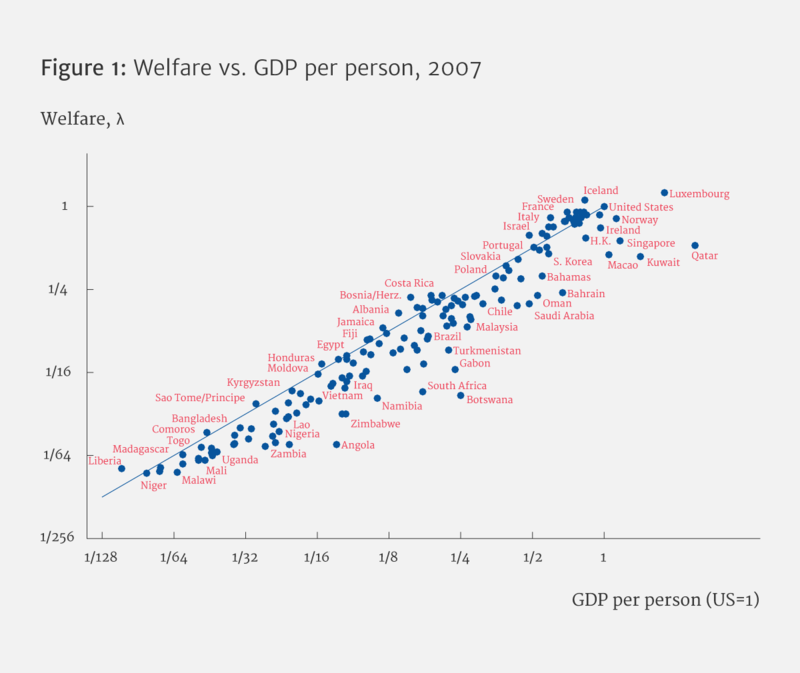 Welfare Across Countries and Time’, American Economic Review 106(9): 2426-57. Prescott, Edward C (2004) ‘Why Do Americans Work So Much More than Europeans?’, Federal Reserve Bank of Minneapolis Quarterly Review 28(1): 2-13. Young, Alwyn (1992) ‘A Tale of Two Cities: Factor Accumulation and Technical Change in Hong Kong and Singapore’, in NBER Macroeconomics Annual edited by Olivier Blanchard and Stanley Fischer, MIT Press. Young, Alwyn (2005) ‘The Gift of the Dying: The Tragedy of AIDS and the Welfare of Future African Generations’, Quarterly Journal of Economics 120(2): 423-66. Photo by Austin Neill via Unsplash used under CC by 2.0 / Desaturated from original with colour filter. 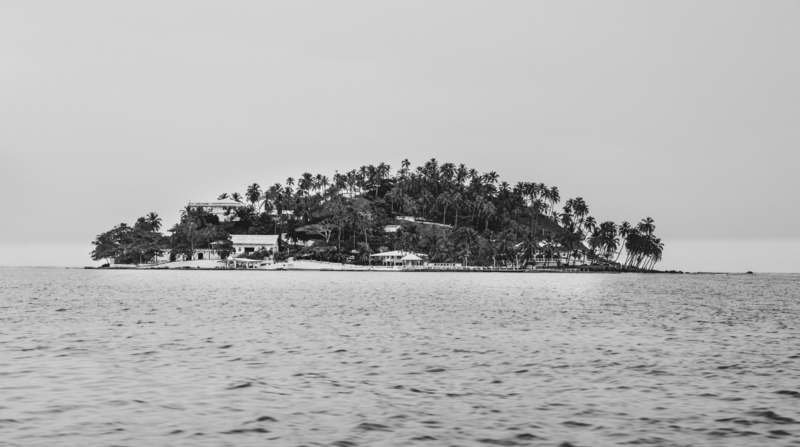 How widespread is tax evasion – and what does that imply for the true extent of inequality? This research explores these questions by analyzing a unique dataset of leaked customer lists from offshore financial institutions matched to administrative wealth records in Scandinavia. The results show that offshore tax evasion is highly concentrated among the rich. The top 0.01% of households by wealth evade about a quarter of the taxes they owe, largely by concealing assets and investment income abroad. Top wealth shares in Denmark, Norway and Sweden increase substantially when adding back these unreported assets, highlighting the need to take account of tax evasion to measure inequality accurately. "Board game," by pixabay.com used under CC BY 2.0. 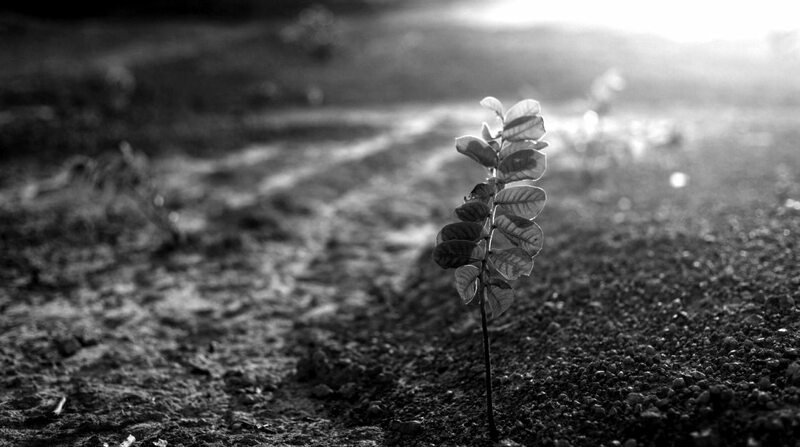 Desaturated with colour filter from original and cropped. In many, many cases, people have a preference for working and doing business with those who share the same religious beliefs, come from the same geographic region, or have something else in common. 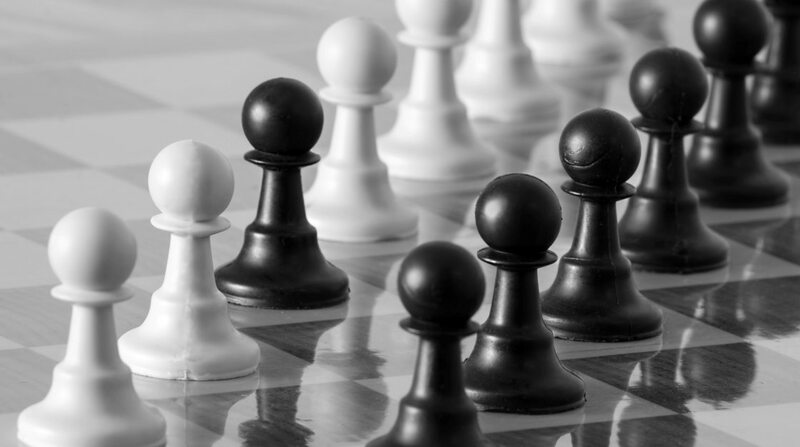 If this preference arises from discrimination against other groups – if there is economically inefficient favoritism – the economy will not reach its full potential. But could there also be efficiency gains from transacting with people who are culturally proximate? If so, is it possible for the gains to be large enough to more than offset the losses from discrimination? Surprisingly, the answer to both questions is yes. However, that does not mean the barriers between groups should be reinforced. Policies that break down informational barriers between groups could produce further gains. The number of people living in poverty in countries around the world is commonly measured using the World Bank’s poverty line – the ‘$1 per day’ that many people have heard of, though it has risen over time and now stands at $1.90 per day. However this measure assumes that the needs of the poor are the same in every country, an assumption at odds with the evidence and common sense. This paper develops a Basic Needs Poverty Line that overcomes this problem giving us new and in some cases surprising insight into the severity of the poverty problem in both rich and poor countries around the world.